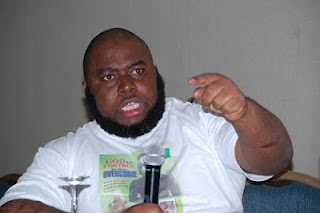 A frontline activist of the Ijaw kingdom, Mujaheed Dokubo-Asari, on Friday, called on President Goodluck Jonathan to immediately stop fighting former President Olusegun Obasanjo. Dokubo, who stated this in Abuja while addressing a press conference, also said that the President’s aides are sycophants and that they had been misleading him. He further stated that the President had no reason to disagree with the former President, adding that the latter was instrumental to his becoming the President. “Obasanjo removed (Chief Diepriye) Alamieyeseigha as the governor and installed Jonathan and later made him Vice President and President eventually,” he also noted. Dokubo also condemned the inclusion of the construction of a banquet hall in the presidential villa in the 2013 budget, saying that such project had no direct link with the welfare of the entire citizens.